Seattle’s downtown has established itself as a medical research mecca working on critical global-health issues. 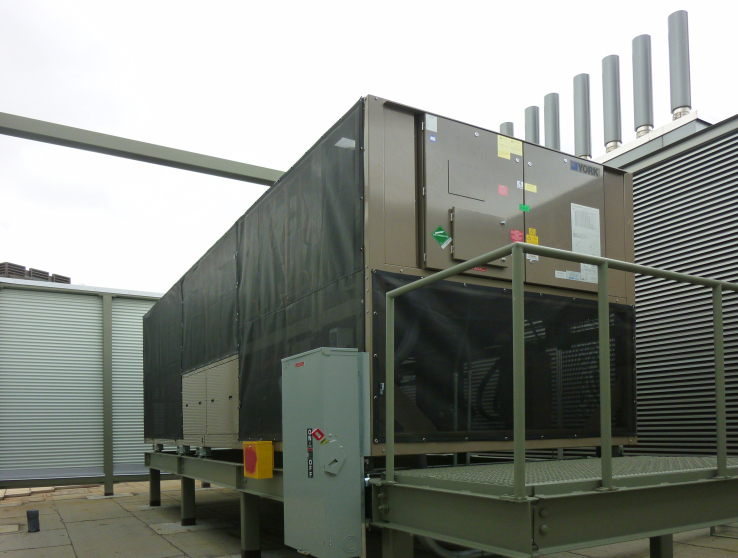 One of the busy bio-tech research faciliies uses a roof mounted 160 ton York air cooled variable speed screw chiller for their refrigeration needs. 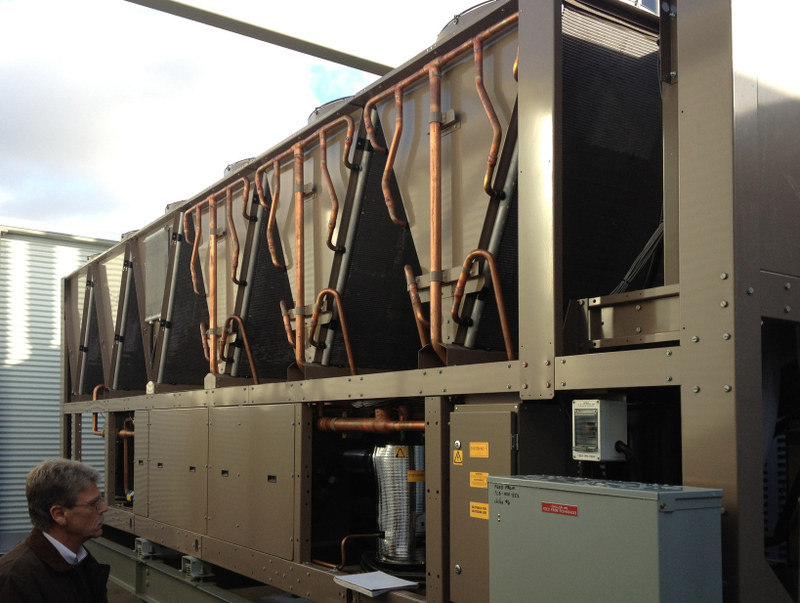 Designed for long periods of continuous operation, needing very little maintenance, these units are known for being robust, simple and reliable. 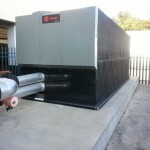 The chiller is on emergency power because it serves critical laboratory and air-tight clean-room areas. 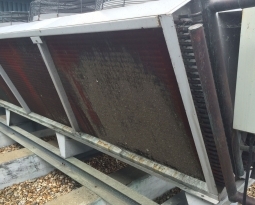 They were concerned about birds nesting in the equipment and cottonwood or other debris getting caught in the condenser coils, ultimately causing equipment failure. 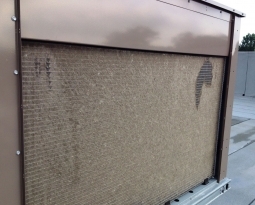 PreVent, air intake screens, offered an excellent first line of definse from larger particles, bugs, cottonwood and other debris that could cause damage to their critical equipment. Easily modified to fit any air intake opening, PreVent offered a variety of install methods allowing quick removal for cleaning. In a couple of spots they had to use velcro (instead of grommets with screwed in plastic mount clips) to attach the filter screen where they didn’t want to damage equipment components. 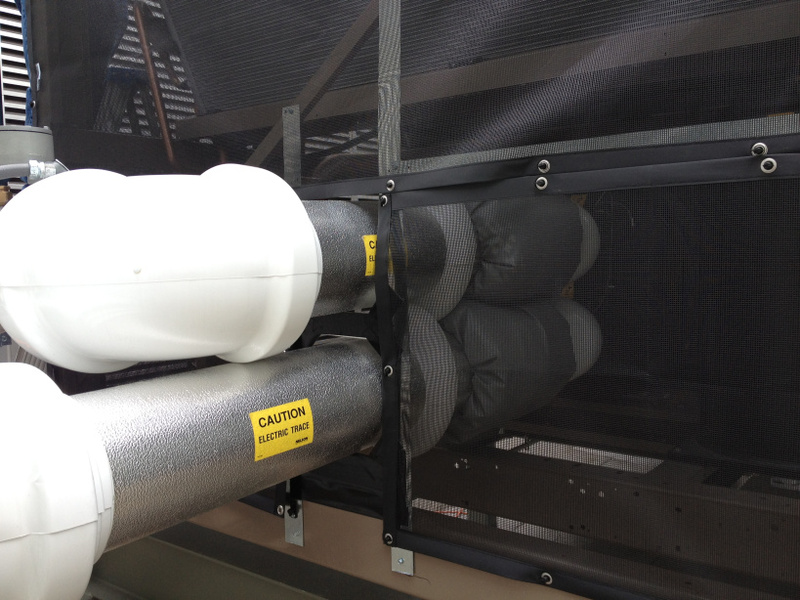 Custom shaped cut-outs were added to the filter, with velcro loop sewn onto the filter screen’s vinyl edge. Adhesive backed velcro hook was attached to the equipment enclosure to create a tight fit around critical electrical components. 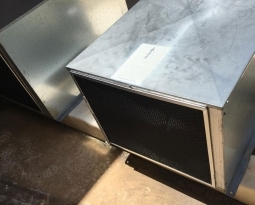 Built with durability in mind, PreVent equipment protection filters come with a 5 year warranty, and will stand up to hostile environments including corrosive areas, UV exposure and fluctuating weather conditions. 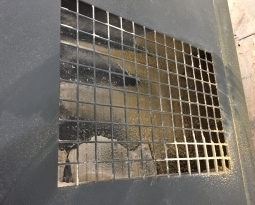 The filter screens can be customized to meet any air intake challenge including cut-outs, special shapes and skirting.